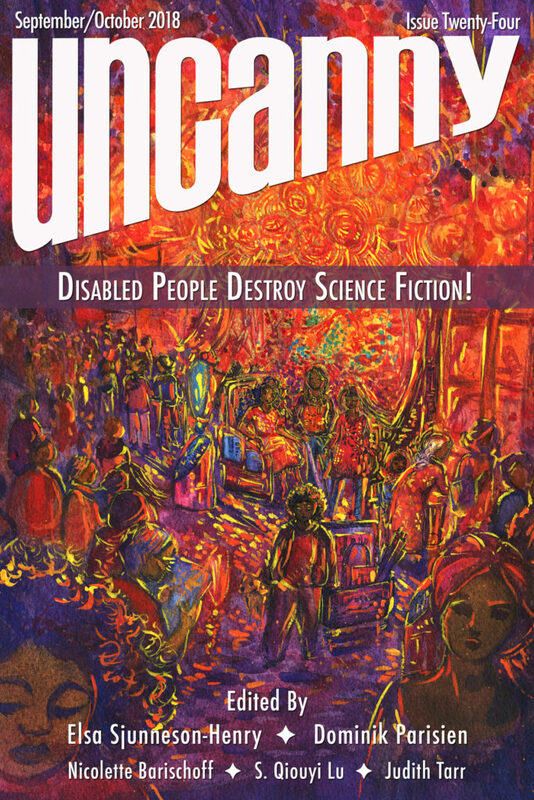 Last year I wrote two short stories for disability-themed collections: Uncanny Magazine #24: Disabled People Destroy Science Fiction and Unbroken: 13 Stories Starring Disabled Teens. The first is online as of today. It’s about an eighth grade field trip to a castle reconstructed in a very inconvenient location. 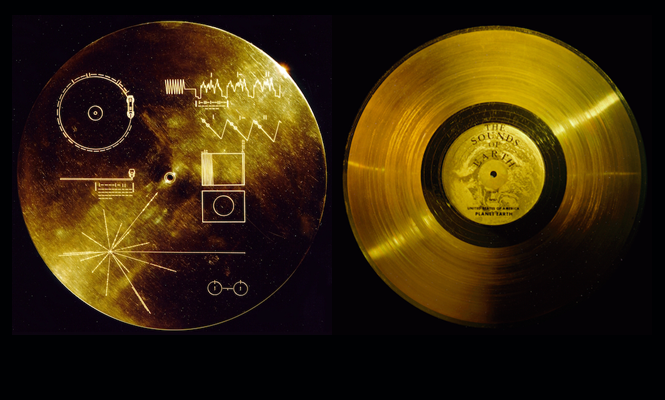 I wrote it while listening to NASA’s Golden Record, and the more I learn about that project the more I adore its optimism. NASA cut an album and then dropped it into the void. The great Erika Ensign read the story for the podcast, after which I am interviewed by the equally great Haddayr Copley-Woods. Unbroken will be in bookstores as of September 18th. It has earned many rave reviews. My contribution, “Found Objects,” is about theatrical magic. It’s been a long time since I wrote about theatrical magic, and I’ve missed it. This particular story is also my first piece of published YA fiction. 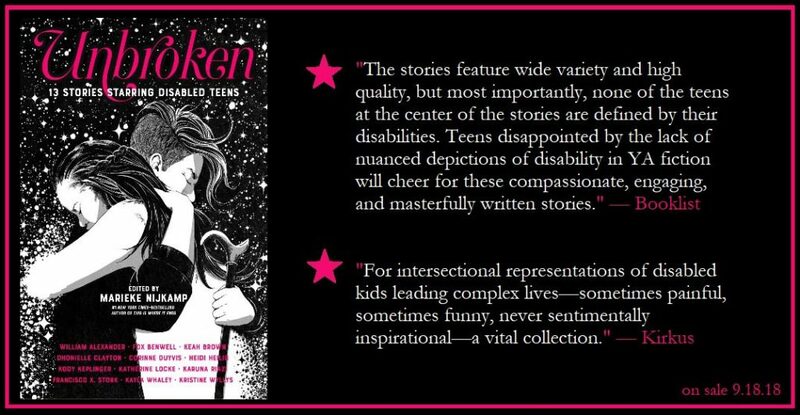 I get to be a YA author now. Most people assumed that I was one already, because few know what “middle grade” means, but now the assumption is actually true. Neither story is thinly veiled autobiography, by the way. I wasn’t yet disabled in eighth grade, or in high school. Both are #ownvoices, though, and therefore frightening to write. I hope you like them, and I hope you also read the astonishing work that they get to share pages with. “Ingot used to be the least haunted place in the world. Now I must wear the large, feathered, resplendent, and attention-seeking hat of self-promition. Signed and personalized copies can be ordered from Bear Pond Books. Library requests are also wonderful, and shape many things in the book world. If you make such requests and orders then my gratitude will haunt you forever… but in a good way? Probably. Hopefully. 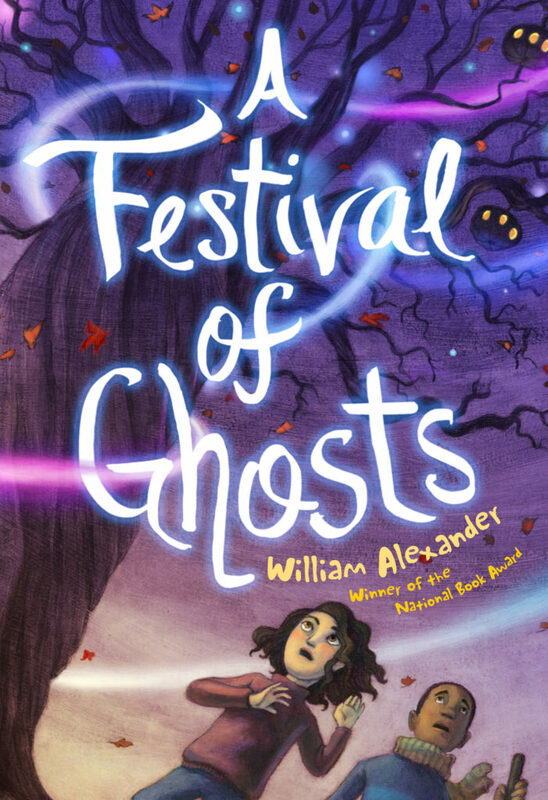 Gratitude doesn’t usually throw things the way poltergeists do. Goblin Secrets is going to be a play. The great Wyckham Avery has spent years tinkering with an adaptation. 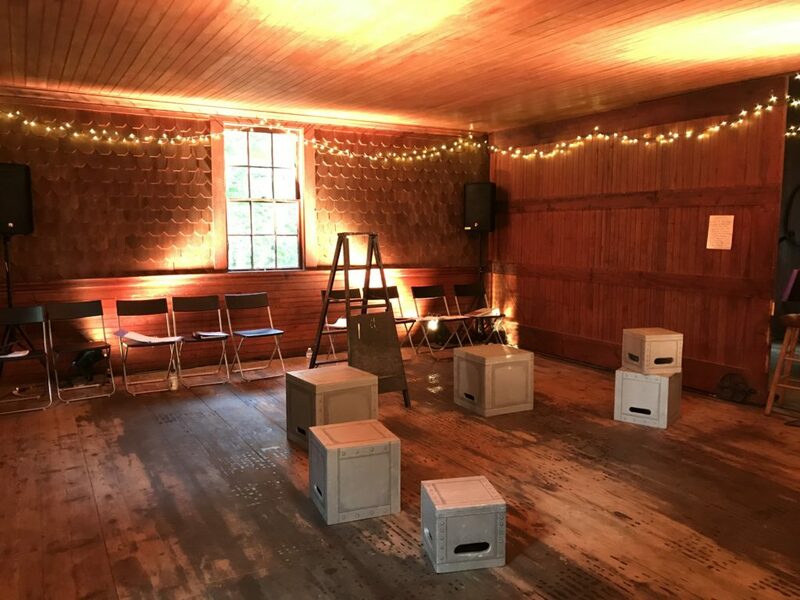 This summer they workshopped the script with a full cast of young actors as part of the Greenhouse Incubator Series at Andy’s Summer Playhouse. 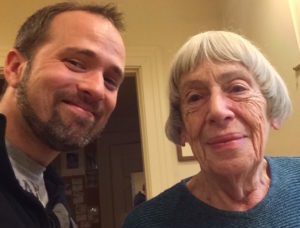 Last weekend they staged a reading. I was there, and I was overwhelmed. The novel is my love letter to theater itself. This adaptation feels like an answering letter. Here’s a picture of the chairs and ever-useful stage cubes right before the reading. I’m not posting any pix of the actors themselves, because they are kids and one should not post pictures of other people’s kids on the internet. You’ll just have to imagine child-actors transforming into goblins and stacking these very cubes in many artful ways. Next year they will put on a full and complete production with lights and costumes and masks. SO MANY MASKS. 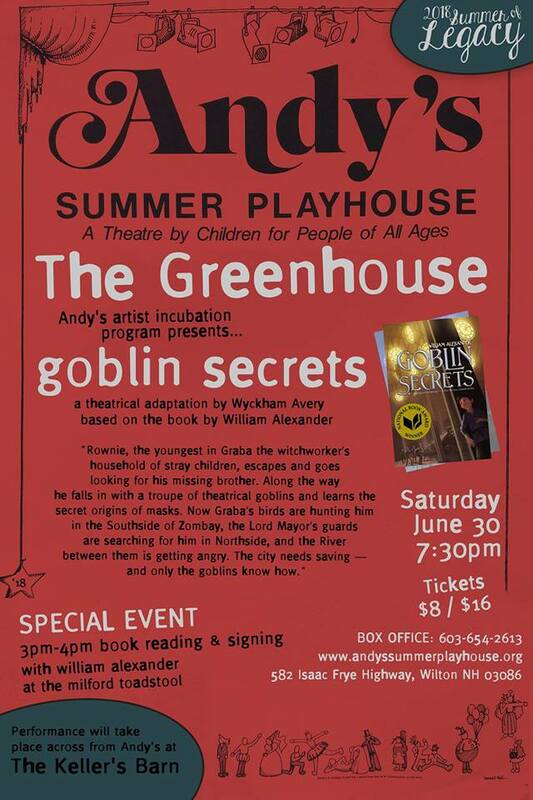 The guiding ethic of Andy’s Summer Playhouse is “an unrelenting faith in the integrity, dignity, and importance of children and their point of view.” I approve. If you are currently somewhere near southern New Hampshire, please check out their current season. If you come to the Playhouse next summer, then I’ll see you at the show. Today is Halloween. In the U.S. that means carving pumpkins into candlelit sanctuaries for wandering ghosts. After that we will dress up as monsters in order to be safe from other monsters. I haven’t picked out my own costume yet. It will probably be some sort of fox mask. I have several of those.